Delivery is starting! 25% Sold Out of Phase One. Models Now Open! Located in heart of The Roosevelt Triangle in Downtown Phoenix. 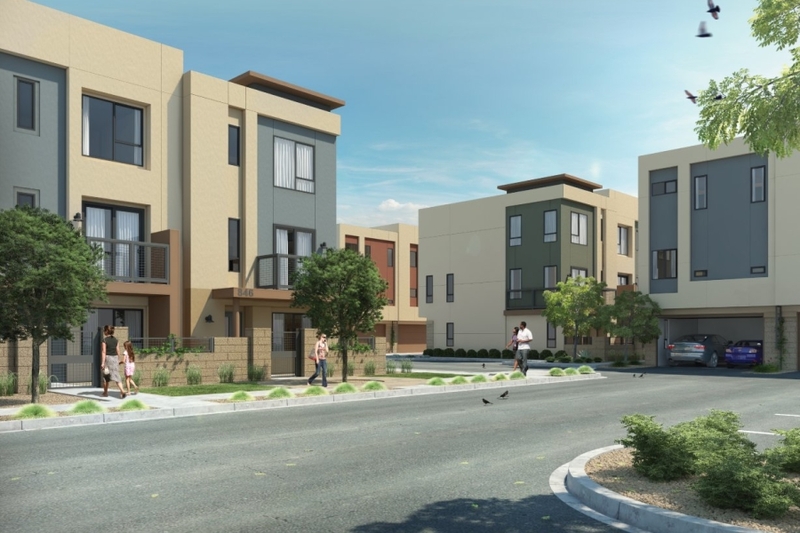 These 30 urban contemporary townhomes are designed to offer style, casual comfort, home automation, and endless connected lifestyle. Center 8 townhomes offer two floor plans. Only 5 plan 1 homes with 1,553 sq ft 2bd & bonus room with either 2.25 or 2.5 baths with an optional wet room in the bonus room are left. Only 8 plan 2 homes remain with 1680 sq ft 2-3 bed & bonus room and 2.25-3 bathrooms. Move in ready homes. Take a tour of our newly finished and furnished models. All townhomes include side by side two car garages; lighted private yards; personal balconies with powder coated railings; open and bright kitchens with Shaker style kitchen cabinets and modern rod-style pulls; brick stacked tile back-splashes; slab granite and cultured stone countertops; Whirlpool stainless appliances (Bosch available as upgrade); Kohler and Delta fixtures; vertical stacked five panel doors with lever hardware; LED recessed lighting; Decora light switches; CAT5 structured wiring; optional fireplaces; optional modern home automation and security system available and more.